Growth driven by rise in demand for large vans weighing 2.5-3.5t, up 4.2%. 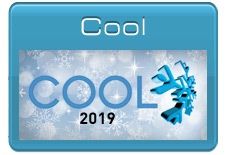 Year-to-date registrations increase by 5.8%. The UK new light commercial vehicle (LCV) market remained stable in February, with year-on-year demand growing by 1.8%, according to the latest figures released today by the Society of Motor Manufacturers and Traders (SMMT). 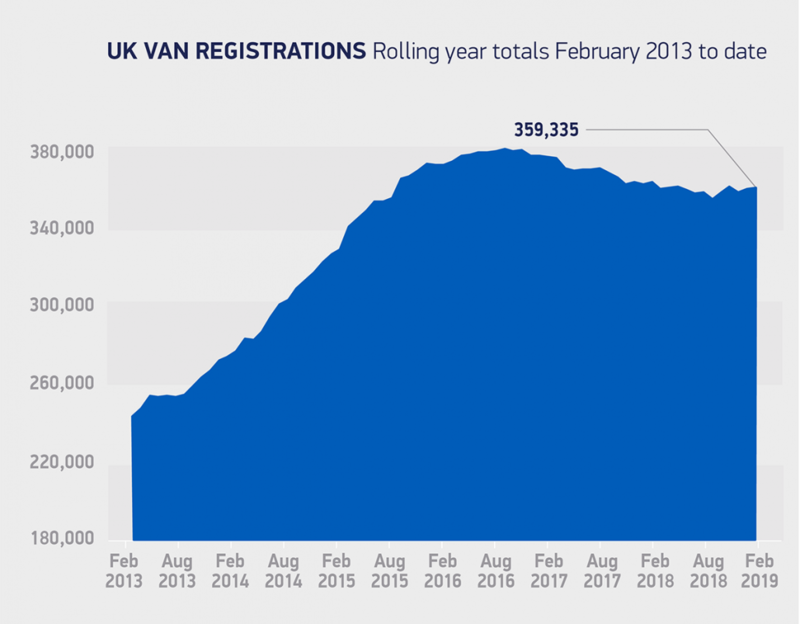 249 more vans and pick-ups hit British roads in February (typically one of the year’s smallest months) compared with 2018, as strong market incentives boosted registrations. Large vans weighing 2.5-3.5 tonnes drove growth, rising 4.2% to take 65.0% of market share. 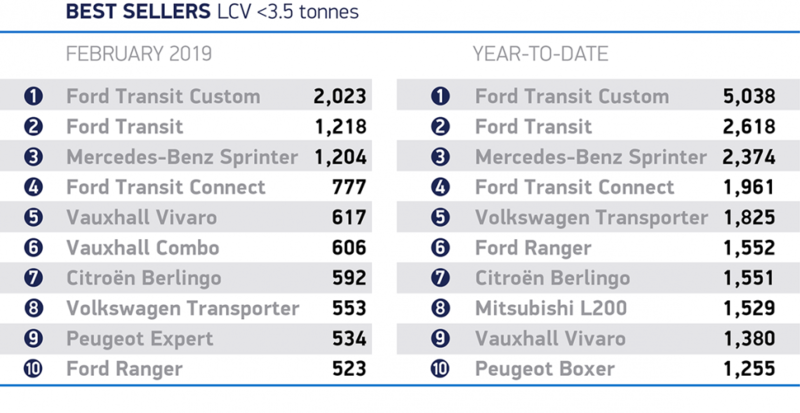 Car-derived vans weighing 2.0 tonnes also saw an increase, up 4.6%. Meanwhile, demand for pick-ups and medium-sized vans experienced falls in registrations, down -2.4% and -4.5% respectively. 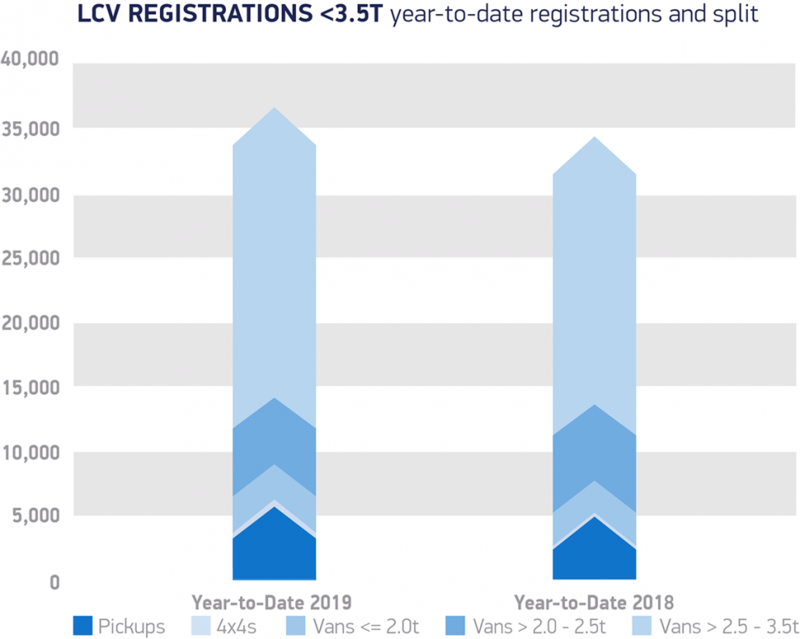 Year-to-date, 36,620 new LCVs have been registered, representing a rise of 5.8% on the first two months of 2018. 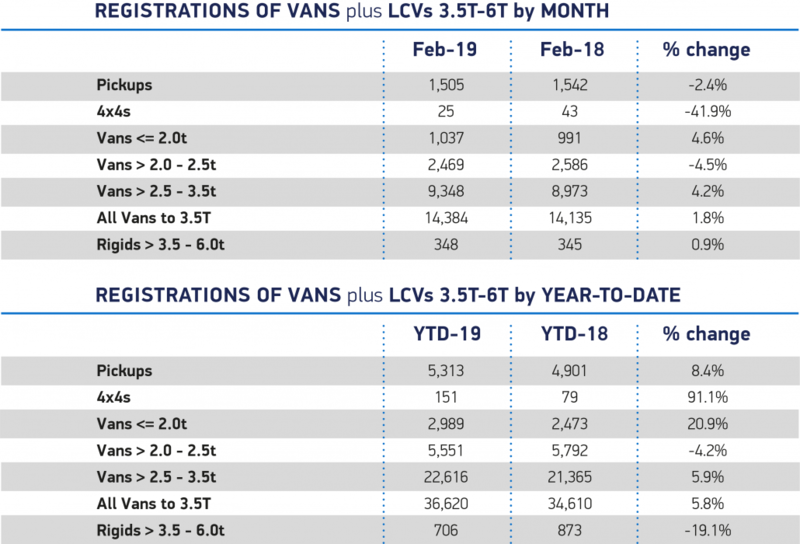 While stability in the new van market in February is welcome news, it is important to remember that February is typically a quiet month, as buyers await the March plate change. 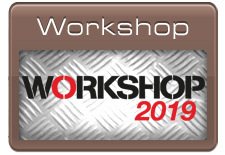 The increase follows a turbulent few months for van registrations and the effect of ongoing political and economic uncertainty on business confidence is likely to result in further fluctuations throughout the year.